Greenlight signs not one, but two brand new licensing agreements with abc! INDIANAPOLIS, IN- (November 2015)- It’s a very special time as GreenLight Collectibles would like to announce not one, but two brand new licensing agreements with ABC (American Broadcasting Company). With these agreements, GreenLight has secured the rights to recreate from the shows Lost and Once Upon a Time. Lost began airing in September 2004 and lasted over 6 seasons. Fans raved over the drama series about survivors of a commercial passenger jet crash that landed on a mysterious island. With flashbacks and flash-forwards into the lives of the characters, the show quickly became one of the highest rated series on television during its airing time. While GreenLight has this license, there are plans to not only produce 1:64 scale models, but also 1:43 and 1:18. 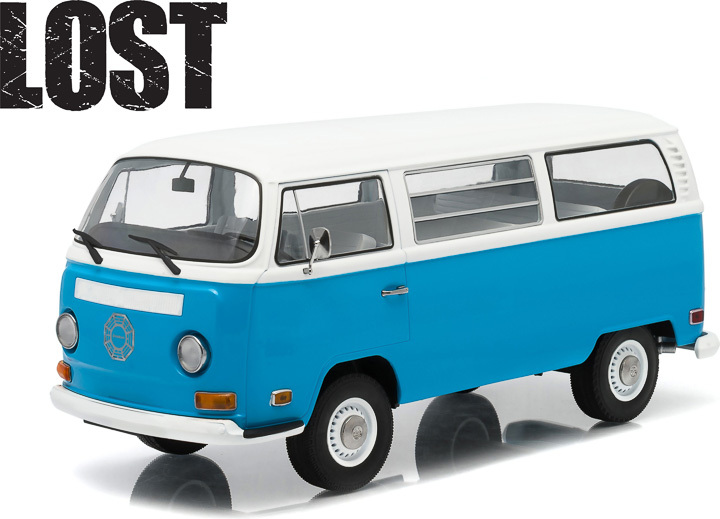 The first release planned with this license is the Volkswagen T2B, known in the show as the Dharma Bus. This is only the first of what is yet to come for this show; many opportunities lie ahead. GreenLight will also produce models from the hit show Once Upon a Time. This series revolves around the lives of fairy tale characters that have been cast under an evil curse that sent them to live in the “real-world” with no recollection of their past lives. The town must now wait for the right person to come and help break this curse and reveal who they truly are. The show has spanned five seasons since its first airing in October 2011 and is the most watched program on Sunday nights after Sunday Night Football. GreenLight is excited for the opportunity to produce models from this show and will make further announcements about the first releases to come on its social media outlets. Each new license that GreenLight attains is another chance to create a product of high quality and authenticity and with these two new agreements, there are many opportunities to come! These releases will be available through official GreenLight official hobby shops and wholesale dealers, as well as Toys R Us, Meijer and other select mass retailers, including Amazon.com. For more information about GreenLight's up-coming releases or the other quality collectibles from GreenLight, visit www.greenlightcollectibles.com.